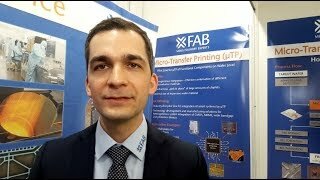 Transmitter FFE makes the channel do the work ..
Where Zero IF wins: 50% smaller PCB footprint at 1/3 the cost, Part 2 ..
Where zero IF wins: 50 percent smaller PCB footprint at 1/3 the cost - Part 1 ..
Design Idea; Moving averager rejects noisy outlier values ..
FPGAs solve challenges at the core of IoT implementation ..
Near-field scanners let you see EMI ..
Sensing current on the high side ..
Shields up; Cable shields revisited .. Proper oscilloscope setup yields correct ESD measurements .. Rethink the button: An inductive-sensing approach ..
ESD Standard Vis a Vis IoT applications .. Interference suppression on a DC motor with PWM control .. The difference between inductive proximity, displacement, and eddy-current sensors ..
What happened to DDC pioneer SuVolta? ..
Design Idea; Forced quenching improves three-transistor FM tuner .. Rapid prototyping platforms for embedded developers ..
Bandwidth demand drives connector design .. Dynamic Envelope Tracking in a power supply for the automotive market ..
Shoot-through suppression: the diodes make the difference ..